Kuota have taken their already great performing geometry and ride of the Kiral and added disk brakes to give unmatched braking power and consistency. The fork and rear chainstay have been beefed up for extra stiffness and strength but still keeping the weight down to just 1060g for a medium frame. 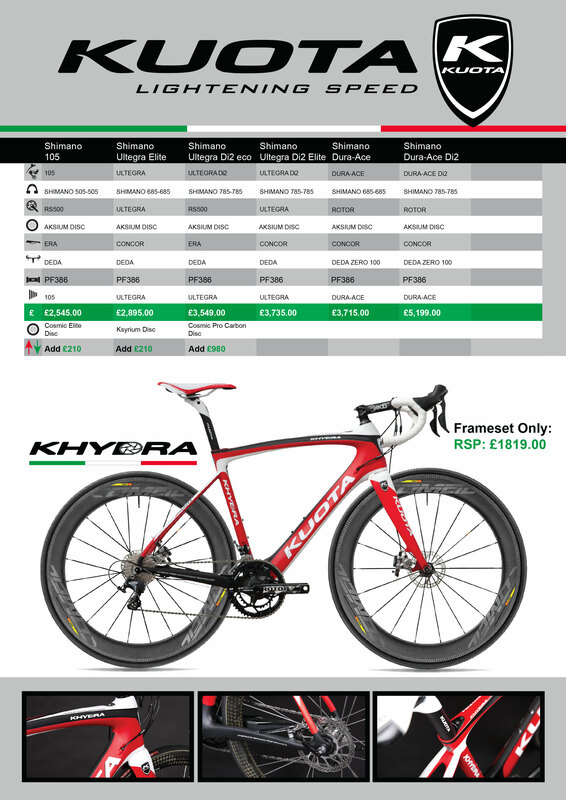 The bike comes complete with a reliable mix of shimano and deda finishing kit.